If you're over 40 and feel helplessly, hopelessly ancient when some young punk pulls up next to you at a stoplight with some alternative rock or rap blaring out from their car leaving you to sit there steaming, you have some new ammunition. Roll your windows down, not up, pop Cheap Trick's new CD into your radio and simply drown out those trendy new sounds with some good, old-fashioned rock 'n' roll. Because truth be told, "Special One" is just that  one of the band's best albums in their three decades together (yes, Tricksters, the original lineup of Robin Zander, Tom Petersson, Bun E. Carlos and Rick Nielsen is back together). One of the joys of Cheap Trick is that there is no real Cheap Trick "sound"  unlike other veteran bands like Yes or Aerosmith, there is no set definition of what a Cheap Trick song should sound like. Zander's voice is flexible enough that you can't always pin him down. And so the opening track, "Scent of a Woman," could be a lost Who cut with Zander sounding as much like Roger Daltry as he does "I Want You to Want Me." But never mind who they sound like here  the point is that "Scent of a Woman" is the purest rock and roll any band has recorded in twenty years, with Carlos thrashing his drums, Petersson punching out a solid beat on bass and Nielsen's guitar work as strong as ever. On other tracks, they sound like the Jayhawks, Tom Petty and even post-Beatles George Harrison. 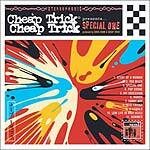 But that's fine, because Cheap Trick has always been about songs, not a sound, and the 11 tracks here are all originals by the band  with that tight combination of sly lyrics and strong melodies that marks the band's best work.